I crave the Word of God more and more these days. Not so much for its comfort, although that is surely there, and welcome in these days…these days of terror, disease, disaster. Not so much for its promise of eternal life, although its pages abound with it, and that is welcome in these days…these days of beheadings, shootings, bombings. And not even so much for its assurance of forgiveness, although I am grateful beyond words for that gift. With all of its beauty, grace, and love, right now I crave God’s Word for its grounding, its certainty. Two verses struck me this week. Both of them are in the Old Testament book of Isaiah. Both of them full of the grace and kindness of the Lord. Both of them rock-solid. Both of them exactly what I needed to remember. The news this week leaves me fuller of questions than answers. You’ve read the headlines; you know the issues we face, the challenges that threaten our nation and our world. You don’t need them listed here. You also know we’re entering round after round of debates by Presidential hopefuls of both parties. We are bombarded with “facts” we can’t even be sure are true, reported by professionals who put their own spin on them and who, in fact, may or may not be making them up. Challenging and frustrating indeed to form intelligent opinions on issues when you can’t be sure you have correct information on which to base them. And then I read, “I, the LORD, speak the truth; I declare what is right.” (Isaiah 45:19) and “I am the LORD your God, who teaches you what is best for you, who directs you in the way you should go.” (Isaiah 48:17). This is what I need to hear. This is what I know to be true. And my heart is at rest. Of course, it requires wisdom to correctly interpret the scripture, to understand context and to determine which covenant you are operating under. There is room to reason together. There is also clarity and honesty and the ring of truth. When you, too, feel confused and tired, weary of the struggles of life and wary of so-called solutions offered by so-called experts, God’s Word offers a place to rest your heart. These three verses did that for me this week: “For God did not send his Son into the world to condemn the world, but to save the world through him.” (John 3:17). The world? That includes you. “Be kind and compassionate to one another, forgiving each other, just as in Christ God forgave you.” (Ephesians 4:32). You never have to wonder if God will forgive you. You never have to wonder if it is right for you to forgive another. “Come to me, all you who are weary and burdened, and I will give you rest.” (Matthew 11:28). That “all”? That includes you. And that is Jesus talking. No matter what else is going on, this is true. And it’s all good news. As a former newspaper reporter, I learned to always check my sources. Good idea. This source is reliable. And this source loves you. Feeling overwhelmed by the tragedy that swirls around you? Overcome by bad news? Uncertain about the future of your family, your nation, yourself? Unsure of the facts you hear reported? I suggest reminding yourself of the Truth found in God’s Word. And then tell him, “Thank you. 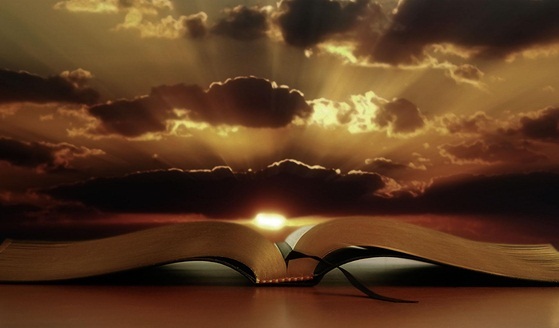 All your words are true.” (Psalm 119:160). And may your heart be at rest. This entry was posted in Bible, Christian Living, Elections, Faith, Fear, Finding solutions, Forgivness, Freeway shootings, Frustrations, Grace, Greatest love ever, Hope, Jesus, Love, Overcoming Fear, peace, Politics, rest, Terrorism, War and tagged facts, faith, fear, peace, politics, rest, uncertainty. Bookmark the permalink. Such a beautiful post. There is a place of quiet rest, near to the heart of God. A great foundation for one’s life and heart. Many people are able to find peace and comfort in the Word of God. Thank you, Carol, for sharing your thoughts and wisdom. May you find peace and be at rest in your life with family and friends who love you. Beautiful post, Carol. Thanks for the encouragement. Thanks for the encouragement and reminder, Carol! I love Psalm 32:8 “I will instruct you And teach you in the way you should go; I will counsel you with my eye on you. ” ……. Be at rest…words I too, need to hear, Carol. Powerful words drawn together in such a way that they touch the heart. Well done, my friend. And thank you.